January 5, 2015 – NASA’s planet-hunting Kepler spacecraft makes a comeback with the discovery of the first exoplanet found using its new mission, K2. The discovery was made when astronomers and engineers devised an ingenious way to repurpose Kepler for the K2 mission and continue its search of the cosmos for other worlds. The research paper reporting this discovery has been accepted for publication in The Astrophysical Journal. Lead researcher Andrew Vanderburg, a graduate student at the Harvard-Smithsonian Center for Astrophysics in Cambridge, Massachusetts, studied publicly available data collected by the spacecraft during a test of K2 in February 2014. The discovery was confirmed with measurements taken by the HARPS-North spectrograph of the Telescopio Nazionale Galileo in the Canary Islands, which captured the wobble of the star caused by the planet’s gravitational tug as it orbits. Kepler’s onboard camera detects planets by looking for transits — when a distant star dims slightly as a planet crosses in front of it. The smaller the planet, the weaker the dimming, so brightness measurements must be exquisitely precise. To enable that precision, the spacecraft must maintain steady pointing. In May 2013, data collection during Kepler’s extended prime mission came to an end with the failure of the second of four reaction wheels, which are used to stabilize the spacecraft. Rather than giving up on the stalwart spacecraft, a team of scientists and engineers crafted a resourceful strategy to use pressure from sunlight as a “virtual reaction wheel” to help control the spacecraft. The resulting K2 mission promises to not only continue Kepler’s planet hunt, but also to expand the search to bright nearby stars that harbor planets that can be studied in detail and better understand their composition. K2 also will introduce new opportunities to observe star clusters, active galaxies and supernovae. Small planets like HIP 116454b, orbiting nearby bright stars, are a scientific sweet spot for K2 as they are good prospects for follow-up ground studies to obtain mass measurements. Using K2’s size measurements and ground-based mass measurements, astronomers can calculate the density of a planet to determine whether it is likely a rocky, watery or gaseous world. Ames is responsible for Kepler’s mission concept, ground system development, science data analysis and K2 mission operations. NASA’s Jet Propulsion Laboratory in Pasadena, California, managed Kepler mission development. Ball Aerospace & Technologies Corp. in Boulder, Colorado, developed the Kepler flight system and supports mission operations with the Laboratory for Atmospheric and Space Physics at the University of Colorado in Boulder. The Space Telescope Science Institute in Baltimore archives, hosts and distributes Kepler science data. 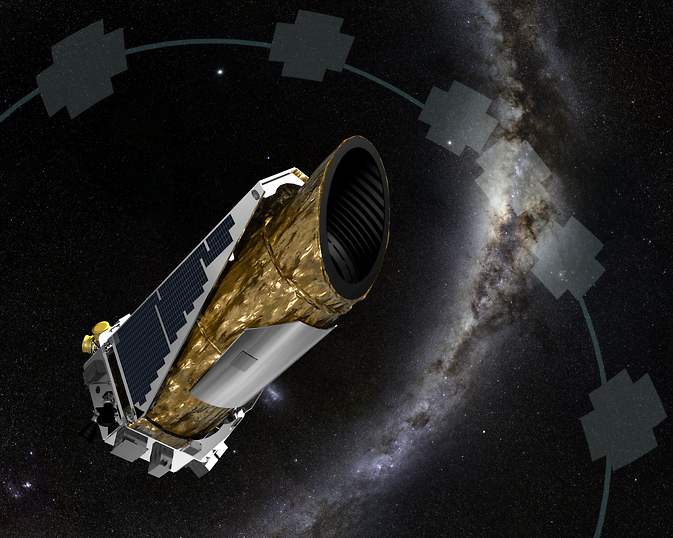 Kepler is NASA’s 10th Discovery Mission and was funded by the agency’s Science Mission Directorate in Washington.